This stuff is dry, very dry, like old generation 'need a lighter to soften this up' level. It is the opposite of smooth and creamy. I had to drag it across my lids, watching it crumble like my dreams for a new eyeliner favorite, dusting my under eye area with streaky blackness and regret. Look, I love the Winter Soldier, but I do not want to mimic Hydra-mind warped Winter Soldier. I don't ask for a lot from black eyeliner; it should be blacker than pitch, apply smoothly, have the ability to form both clean lines or smudge out, and it would be really nice if it also didn't feel like I was ever so vaguely rubbing my eyelid skin off. Because of its dryness, it's very hard to get an even application that doesn't skip and it's very difficult to get anything close to a crisp line. Which is a damn shame, because the idea of matte black liner is really cool for fall and for mixing up textures in an eye look. Just so you can get an idea of texture, I drew it on my hand below using the average pressure I would use on my eyelid. 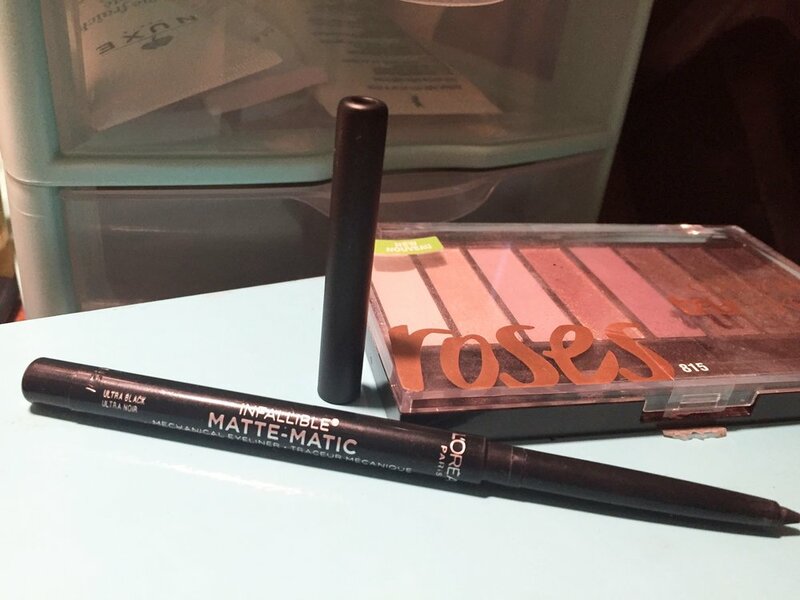 For comparison's sake, by the way, here is the Pixi Endless Silky Eyeliner Pen eyeliner pencil (drawn as the heart) next to the Matte-Matic. You can easily see how much more pigmented and creamier the Pixi pencil is, and it really highlights how not very black or rich the Matte-Matic is. What is truly disappointing is that L'Oreal does make truly excellent black liners. The L'Oreal Lacquer Gel liner is amazing, the Silkissime ones are favorites of mine, and the Extra-Intense Liquid Pencil Eyeliner is next level. So how did they get it so wrong with this? 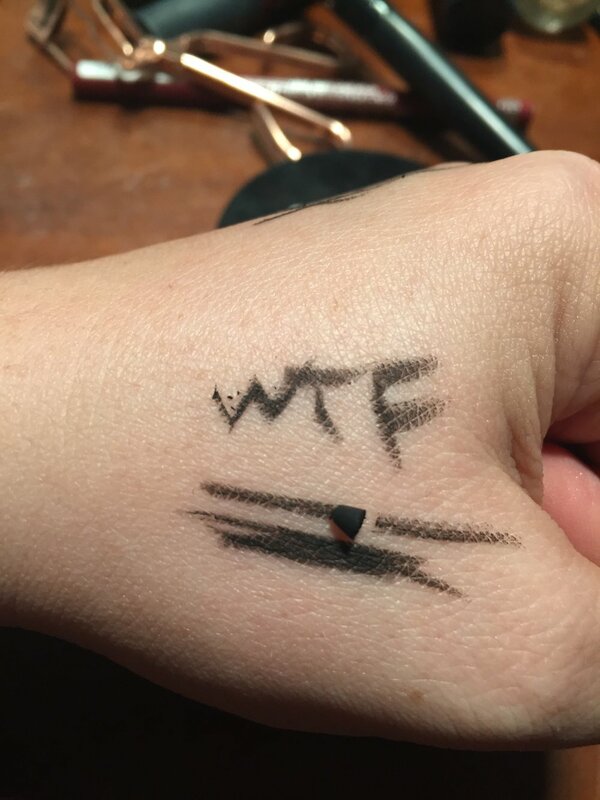 I don't know if its the mechanical eyeliner pencil packaging or just the matte-ness of the formula, but I'm so disappointed in this product, especially given how well it was recommended. I really hope someone comes along and really nails the black matte liner game, because I think it's a great take on offering something aside from the usual satiny/glossy black finish and I'd love to see it in a formula that works.